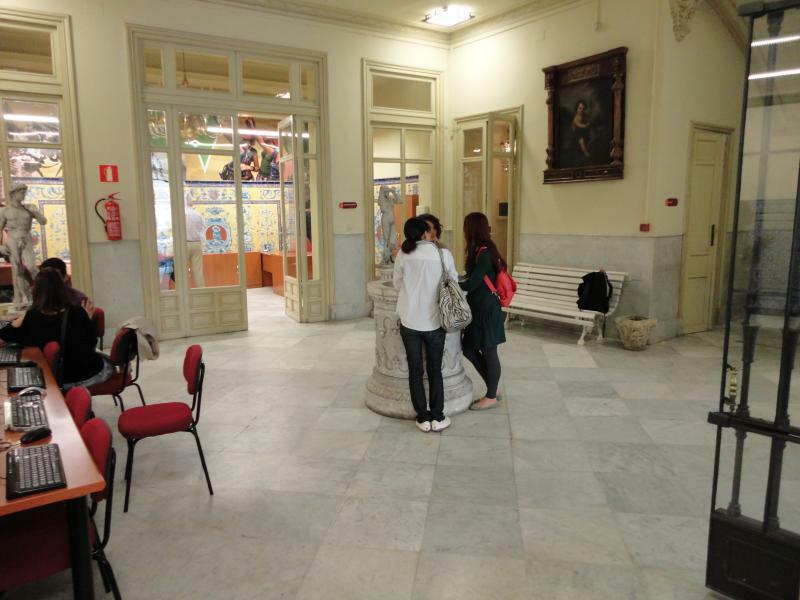 Our school in Sevilla maintains the charm of southern Spain while utilizing the best audio-visual equipment & modern facilities. 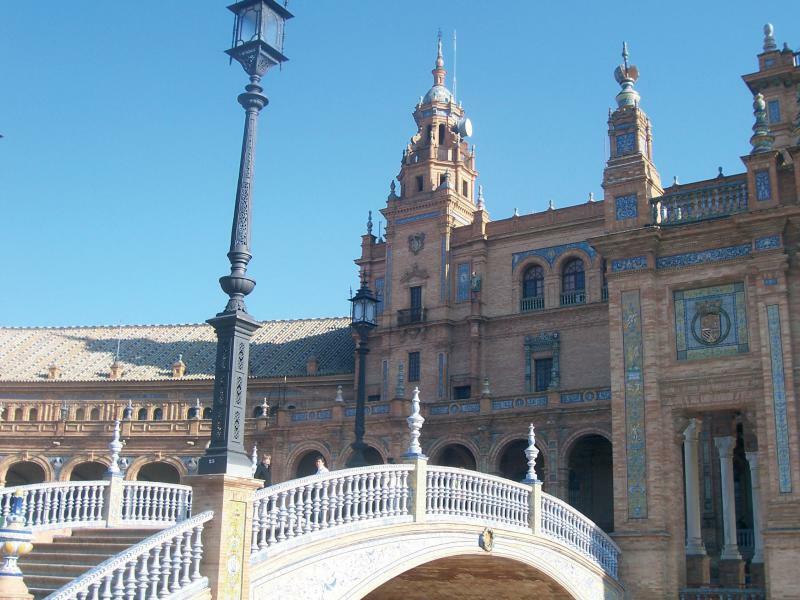 Located in the city center, the palace-like building boasts over 1200 m2, including a large terrace with breathtaking views of historic Sevilla. 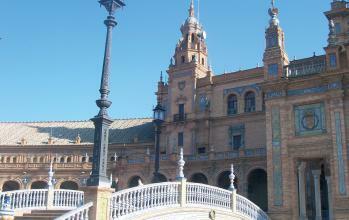 You will find all the major sites, restaurants and bars of Sevilla right in the vicinity of our academic center. Our Intensive Spanish course is perfect for students looking to make a solid and quick progress in Spanish. 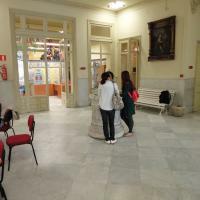 You will be able to combine 20 interactive Spanish lessons per week with 5 extra conversation classes. Mingle with locals and join in during their lively conversations in everyday Spanish. You’ll benefit from a personalized and student-centered approach to teaching where professors and students are actively engaged in the learning experience. With he Intensive Plus Courses you will work on every interpretive and expressive skills while increasing cultural knowledge : Listening: Students practice listening techniques and strategies to understand oral messages and increase listening comprehension. Reading: Increase understanding of written content and reading comprehension through an active learning process including the studying of spelling rules, punctuation and vocabulary. Speaking: The development of speaking skills focuses on the student’s ability to express themselves verbally and maintain a coherent conversation. Writing: Mechanisms for communicating correctly in writing are worked through a variety of activities and exercises. Lexicon: The understanding of words and grammar is fundamental to understand and produce texts. Development of lexicon is an important teaching priority. 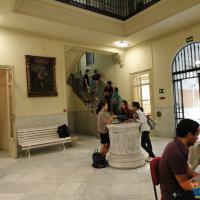 The SIELE (Servicio Internacional de Evaluación de la Lengua Española) was recently created to evaluate students' language skills in a digital format. The exam uses language that reflects the vast variety of Spanish spoken in different countries, by using vocabularies and expressions from various countries, as well as referencing The Common European Framework of Reference for Languages. Students can choose to take the exam in separate parts or to take a global exam that evaluates all four language skills: reading, writing, listening and oral communication. Grades will not be decided in terms of "pass" or "fail", rather students earn a language mastery level, which is scored between 0 and 1,000 points (250 points for each skill). Once completed you will receive a certification recognized internationally for a period of two years. The SIELE has the advantage of speed; results can be received in three weeks thanks to its digital nature. The exam is flexible; it can be taken at any time. And perhaps most importantly, the exam is extremely useful as it is uses the various dialects of Spanish as spoken in both Spain and America. 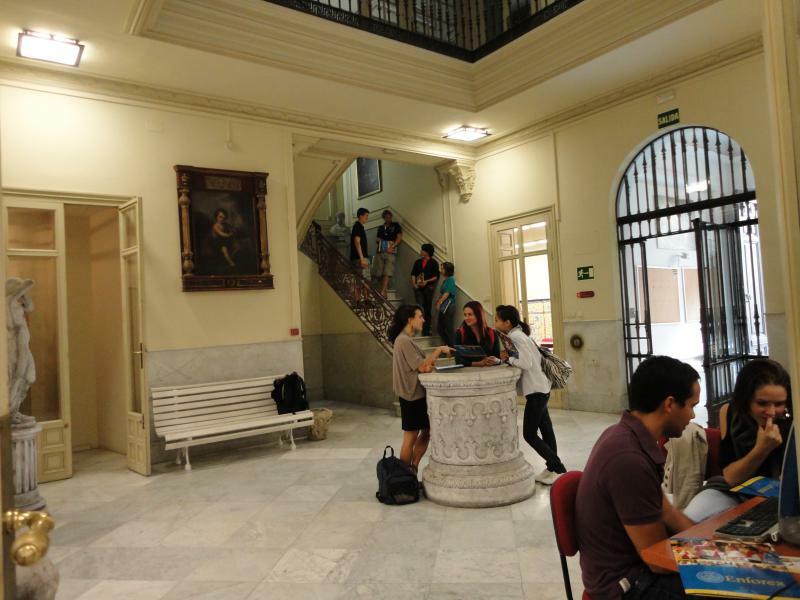 The exam is backed by the University autonomous of Mexico, Instituto Cervantes, the University of Buenos Aires and the University of Salamanca. Living with a host family has two major benefits. First, it's the best way to get to know Spanish culture and see what daily life is like for a native Spaniard. Secondly, our host families will speak to you in Spanish 100% of the time, helping you practice the skills you're working on in Spanish classes in an authentic context. Our host families vary from young families to one or two retired people, all Spanish speakers and are carefully selected to ensure that your stay be as pleasant as possible. We do our best to find home stays that will treat you as part of the family. We will always try to accommodate you within 20 minutes - on foot or via public transportation - from the Enforex school, even in big cities like Madrid and Barcelona. You may choose between a single or double room as well as no meals, half board (breakfast & dinner) or full board (all meals). If you have any allergies, special dietary requirements, dislike of particular pets or any other special requests, just let us know in advance and we'll do our best to satisfy your needs. •stocked library, conference room, communal areas and a typical Andalusian patio decorated with typical Triana tiles. Completely adapted for physically handicapped people, with wireless internet access and air conditioning too. • For cancellations made during the last 2 weeks before arrival, there will be a penalty of 250 € + 10% of the total cost. via one of the 3 aforementioned means will not be accepted. or 35% of the total cost. Most recent booking for this school was from Australia and saved €52.50!